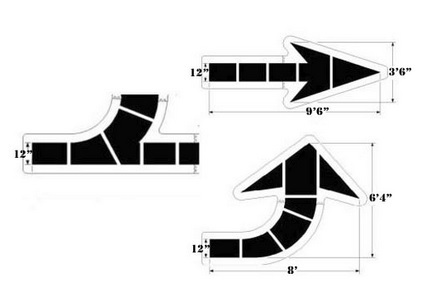 Mark your roads and parking lots with this Straight Arrow stencil to help direct people more effectively and make your roads and parking lots safer. They make cleanup a snap, simply rub the paint off. These Poly acrylic stencils are tough and simply the best stencils made. They are the only stencils backed with a LIFETIME WARRANTY. Tax: We also collect tax on all items shipped to CO.